If you love your blue suede loafers and shoes, you'll more than appreciate these Stacy Adams blue suede loafers. 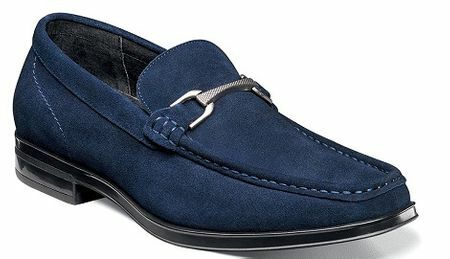 Featuring rich navy blue suede, these Gucci style loafers have the classic Italian look that is popular year after year and just doesn't get old. Stacy Adams suede loafers promise you the Italian style and Stacy Adams quality and we're pretty sure you're going to want more than one color.